In this Campaign Income Report, I’m going to unpack a promotion I ran for someone else’s online course. 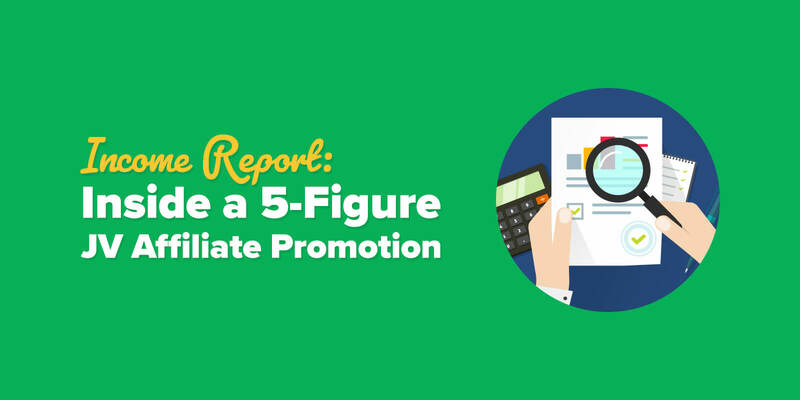 Here's how I became one of the top three affiliates and earned five figures in the process without spending any money on ads! Welcome to the first of our new edition of income reports here on SPI! For nearly a decade since the blog was created in October 2008, I’ve been sharing monthly income reports to reveal exactly how my online businesses were performing, including exactly how much money was being made, where it was all coming from, the expenses and the lessons learned that month, too. These income reports, many said, are what put me on the map and what I had become known for, and they were the most popular blog posts on the site. Then, in January 2018, I stopped publishing them. They were becoming less and less relatable. They took over eight hours to publish. They were becoming less valuable to readers. Number 3 is the most important. The goal was to share the real numbers so that I could inspire and get people to take action. Over time, it was not that anymore. I’m going to call these my Campaign Income Reports (or CIRs for short), and this is the very first one. And like my older income reports, not all of them will be positive, either. Many income reports showed months where I took major hits and saw a decline in earnings. I hope to cover both wins and failures in these CIRs. If you’d like to see a history of my older income reports, which will continue to live on the blog, click here to see every single one that was published since October 2008. If you’re ready to check out the campaign income reports, well, keep on reading. Affiliate marketing is something that I specialize in, and in this Campaign Income Report I’m going to share the details behind a promotion that I recently ran to successfully sell someone else’s online course and become one of the top three affiliates during the promotional period. I’ll be sharing how I warmed up my audience, how I promoted the product, emails with open and click-through rates, how I stood out from other affiliates promoting the same product, and finally, how much overall income I generated. I did not spend any money on ads during this campaign. It was primarily promoted via email, social media, and on the blog. But first, a little about the product. 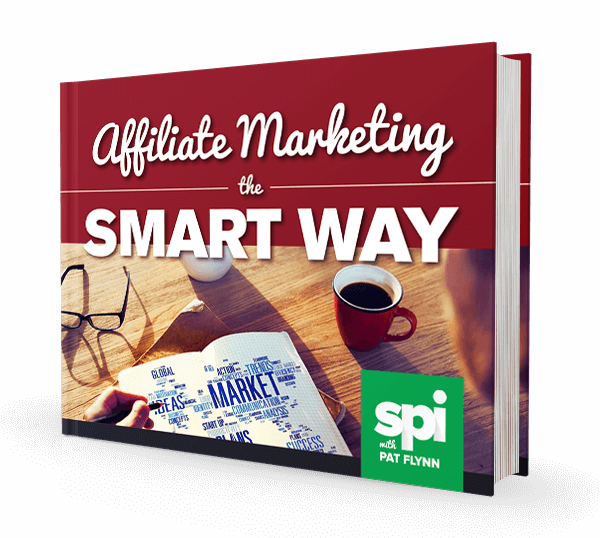 To be a successful affiliate marketer, you cannot just promote any ol’ product that has an affiliate program attached to it. I mean, technically you can, but when you focus on the product commission before how the product can actually help your audience, it can get you in trouble, or leave you with lackluster results. Or both. This is why I always recommend promoting only products that you’ve used and you’re 100 percent confident that will help your audience. I can personally vouch for it based on my own experience. I know what to expect when I send my audience into the course. I can easily answer any questions about the experience and results the course provides. It also helps that I have a relationship with Michael Hyatt. He’s been on my podcast and some of my audience already knows who he is. Although I did not publish any new interviews with him during this time (which would have helped), a direct connection to the product owner adds a lot of trust to the potential purchase. Hot tip: Get to know the person behind the products you’re promoting, and make sure your audience can get to know them, too. A podcast interview, like this one, goes a very long way in building trust. Over the past three years, Michael has strategically promoted this product right before the new year, which is smart because it is a goal-setting course, and that’s exactly what people have in mind during this time of year. Selling during the holidays, however, can be a bit tricky. The commission percentage was 40 percent during this promo. This is about average for an online course at this price range. In addition to the commission, there are various prizes for affiliates, too. There are prizes based on sales, which are usual for this coordinated joint-venture type of affiliate promotion, and there are also prizes for leads. With this course in particular, I use a “become a student with me approach” when marketing it, which isn’t actually very common, but works like a charm when you have an audience already—even a small one. What does that mean exactly? It means that if a person were to buy this course through my link, they will become a student with me. We’ll go through the material together, and I’ll hold them accountable along the way. I’ll also share what I’ve come up with and help guide them when needed. 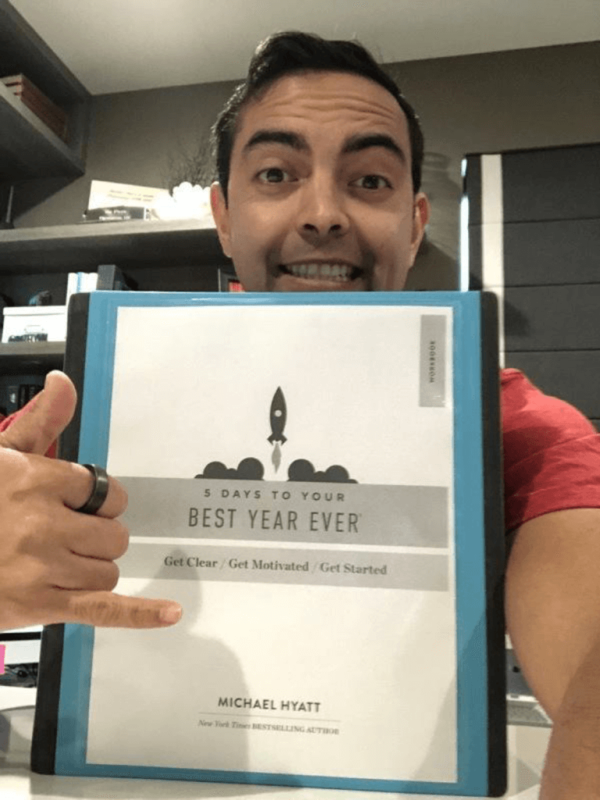 “Let’s do this together.” That was my strategy, and although it can’t work for every product that you sell, courses and programs that have a certain amount of days or weeks to complete, or have a very specific end-goal are ideal for this approach. I hope you pay careful attention to the schedule here. It looks like a lot, but it’s crafted with precision to warm people up and close a sale in various ways. Let’s see if we can break this down real quick. The LifeScore Assessment is a proprietary quiz and score that Michael Hyatt created. The results allow you to understand what areas of your life you might be excelling at, and what areas of your life you may be lacking in. This is a great lead magnet because it’s actually extremely useful. Whether a person continues into the sales process or not, even here at step one, you get a quick win—useful, personalized information that you can then begin to understand how to remedy. As an affiliate, this is when my lead count begins to climb as I promote the assessment and people sign up to see their results. I don’t have a specific number for leads generated by the assessment alone, but I know it captured a few hundreds after I sent an email out. Winners Selected for Podcast like a Pro Giveaway! This email, which was more of an announcement email for the contest, still generated a total of 657 clicks to the LifeScore Assessment. Not everyone will convert, but that’s a healthy start. I didn’t go too heavy on the assessment promotion because my strategy was more about taking the course with me. The course hadn’t even been mentioned or launched yet at this point. 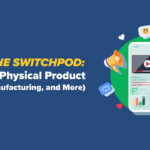 The three-part video series, just like Amy Porterfield teaches us in Session #137 of the SPI Podcast (sometimes known as the Product Launch Formula), works really well to warm people up to the idea of needing a solution for a specific problem. The first two videos: all value. The third video: value + product mention. In this particular email, which was primarily promoting a YouTube video, saw 737 clicks to the video series. And remember, not everyone who clicks will actually watch the video, so the actual lead count is likely less than 40-50 percent of that click-through number. Again, I didn’t push hard pre-launch because my strategy was all about taking the course with me. Softly mentioning the course is okay, but a hard promotion for it would have been weird before it was even available. It was on December 13 that the cart was open to the public, and it was a day later that I began to shoot my shot. Subject: I’m becoming a student (again!) this year. As you can see, the winner was just a small nuance in the punctuation of the A/B test, but not a terribly huge difference overall. Still, it’s fun and informative to test subject lines in this manner. Over 30,000 emails sent with a 27 percent open rate (that’s 8,100), and then a 3.1 percent click-through rate, which isn’t terrible. Hey, it’s Pat here! I hope your holiday season is treating you well! During office hours today for my premium courses, a student had asked me if I was taking Michael Hyatt’s 5 Days to Your Best Year Ever course again this year. The answer is an astounding yes, and I’ve actually taken it, as a student, the last 3 years in a row. 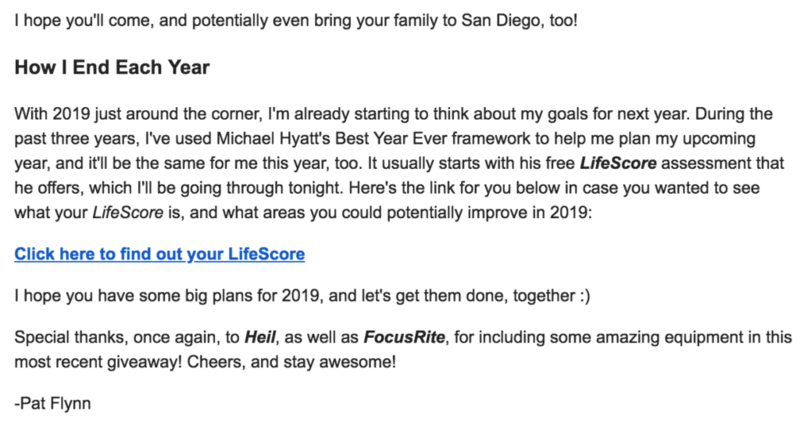 It’s become a tradition for me, every December, to go through Michael Hyatt’s 5-day lesson plan to clearly define my goals and plan the actions I will take to achieve them, and it’s been instrumental in my success and growth over the years—both personally, and professionally. This discussion prompted several people who had never heard about this program to ask a few more questions after office hours was over, so I wanted to shoot you an email to tell you a little more about the program, and the fun thing I include on top of what Michael offers for anyone who wants to become a student with me. A lot of people ask me who I learn from and what courses I take, and 5 Days to Your Best Year Ever is the number one course I always make sure to take each year. Since you’re already a student of mine, whether through a paid course or a free course I offer, I know this is something that will help you, just as much as it has helped me. If you’ve got a clear plan for 2019 already nailed down, and you know exactly how you’re going to get there—awesome. You don’t need this, and you’re going to crush it. If you need guidance and direction, accountability and a plan of action, then I invite you to take this course with me, and let’s go through it together. And literally, we do take this course together. We’ll go live for five days straight and go through all of the lessons together. And yes, there are only five lessons in this course, which is why I love it so much. It’s only two hours of total content, but it’s a total game-changer. Remember the value of a course is not how long it is, but what it can do for you. Then after that, we will get together regularly once a quarter to check in with each other, and adjust our goals if needed. Plus, I’ll give you a nice dose of motivation to take you into the new quarter. I’m here to hold you accountable! There are different options—no matter which one you pick you’re in. And if you’re an alumni who has joined me in Best Year Ever the last two years, you’re automatically in as well. Cheers, thanks so much, and hope to see you on the calls soon starting daily (for five days) on December 19, and then throughout the year, too. All the best! I appreciate you! As you can see, this is a lot more aggressive than my P.S. mentions in the previous emails, but this is the strategy at play here. This, again, was sent to my existing students, so to pitch myself as a student makes it pretty cool—you get to take a course with your own course creator. Twenty-two sales, 60 percent coming directly from this email. The others came from leads who watched the video. The cart close was on 12/19, so there was still a long way to go, and usually with longer promotional period like this, a majority of the sales always come in on the final day. It happens every time. At this time, I was ready to send emails to my entire list. Looking back, I should have promoted to my entire list sooner, like on December 14 alongside the email to my course students. To be honest, I’m not exactly sure why I didn’t do that. Pat Flynn here, and I hope your holiday season is treating you well! Can you believe we’re just a couple of weeks away from 2019? Insane. I feel great because I finally learned how to not just CREATE goals, but how actually ACHIEVE them, too. I have to give credit to where credit is due: it’s because of Michael Hyatt. 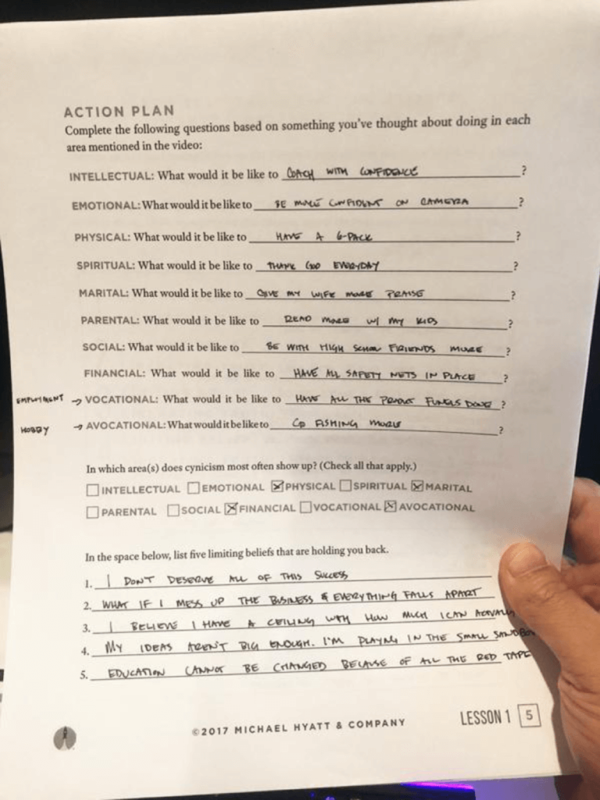 Picking goals is just part of the process, creating a plan and developing habits which support those actions (which was a huge takeaway I got from Michael) is the secret sauce. And my favorite part of Michael’s course? It’s literally the shortest course I’ve ever taken: only five days—one video to watch per day. About two hours of total content. You’ll get access to a Facebook group with other students so that we can share wins and hold each other accountable throughout the year. 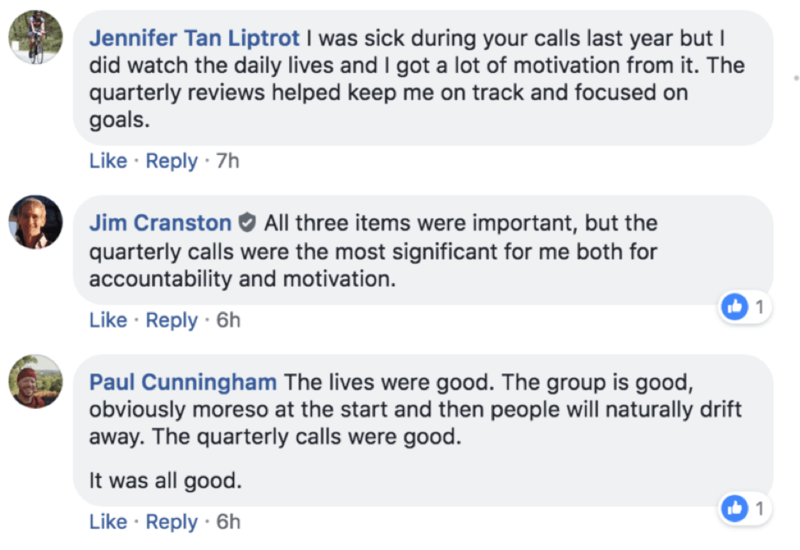 I host quarterly check-in and goal adjustment calls so we don’t lose the motivation and the work we put in during the course. I’ll be going live daily for five days while you take the course with me, starting on December 19th through the 24th. I’ll be going live TWICE each day (for five days) starting on the 19th within the Facebook group for students who want to do this with me. On those calls, I’ll be there to help you through the content and exercises, answer questions, and we can literally just get this done together before the new year starts. 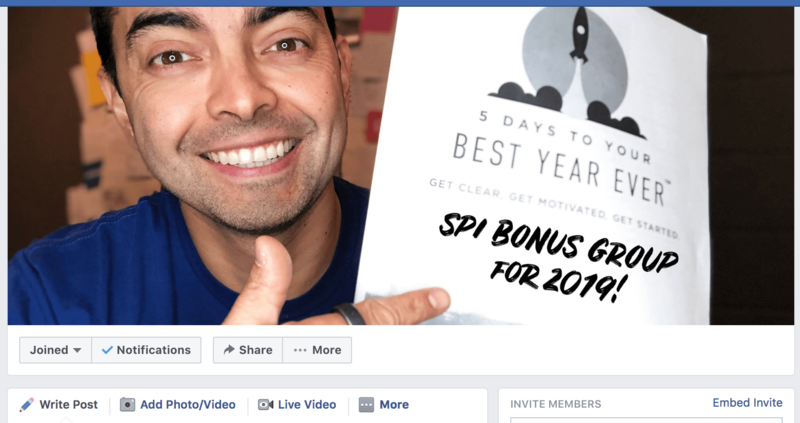 Again, you can check out the webinars in the link above to learn more, however if you know this is something you need now and want to take the course with me this week, click the link below to get 5 Days to Your Best Year Ever and be a part of the SPI Bonus Group! This is an affiliate link that allows for me to also make sure you become a part of the bonus group! If you do end up grabbing 5 Days to Your Best Year Ever, expect an email from me tomorrow (the 18th) related to the Facebook group, the quarterly calls, and the live streams that start on the 19th. I look forward to doing this with you! And whether you end up using Michael’s exact framework or not, I just want to wish you the best in 2019. I know you have some amazing and big opportunities in front of you, and I’m excited to help continue to support you next year through SPI in any way that I can. Happy Holidays, and here’s to an amazing 2019! The differences are that I added some images from my workbook from 2017, specifically left out the part about office hours for my existing students (which was not relevant to these subscribers), and I used a more powerful testimonial from a student who has once taken this course with me before. 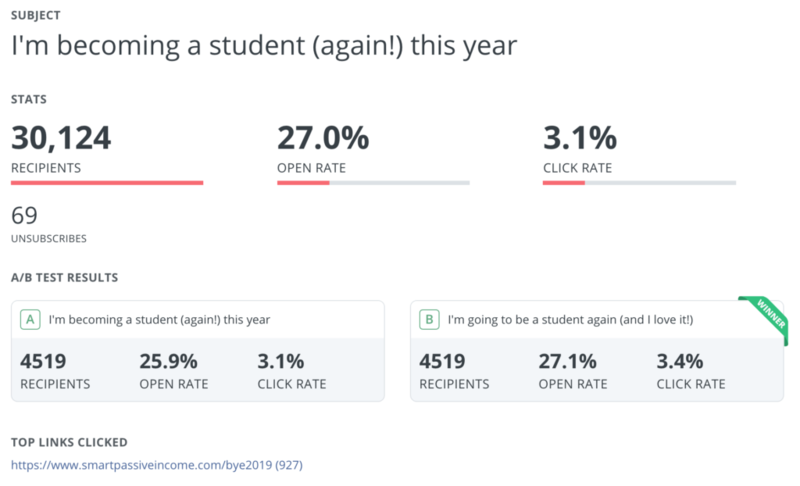 I also added two calls to action—one for people interested in catching the free webinar from Michael (which eventually leads people into the course), and then the CTA for direct enrollment. Also, with how long this email and the images are, I made sure to include another link and one more quick message to the course in the postscript at the end of the email, too. Hot Tip: When re-sending to unopens, change the second email subject line just a tad so that it’s not exactly the same. I also like to just change a few words in the intro to the email, just on the off-chance people see both emails. Through this particular email set, over 2,000 clicks came through. 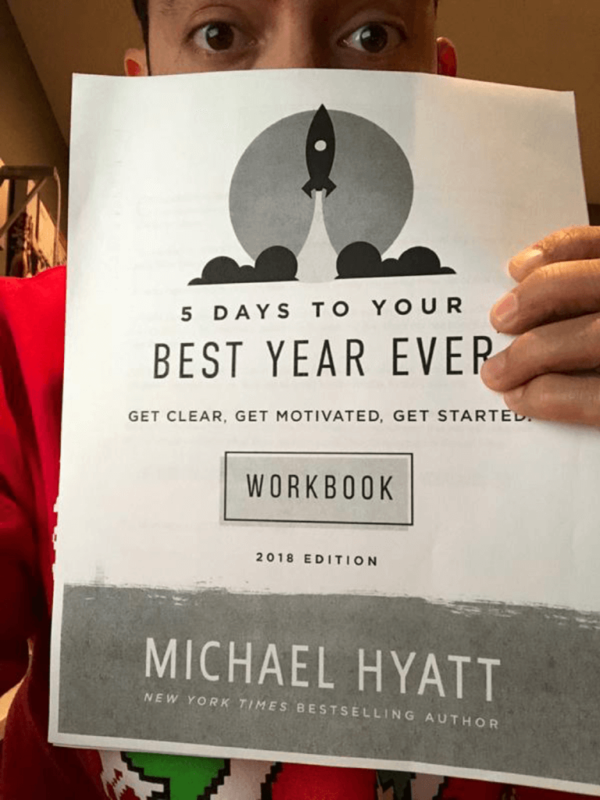 I’m about to start my coursework through Michael Hyatt’s 5 Days to Your Best Year Ever program to plan my 2019, and I wanted to remind you one more time that enrollment closes today, and if you sign up to become a student with me, we can work through this course together to set ourselves up for an amazing 2019. Daily live streams for the next five days so we can go through each lesson together and really make this happen. I’m actually going live TWICE per day (2:30pm & 10pm PT) for the next five days to accommodate for students living in different time zones, and I’ll be streaming live from within the Facebook group you get access to. The calls are also automatically recorded. I wouldn’t be pushing this if I didn’t think it could help you—I’ve used this framework for the past three years in a row, and I’m excited to do it again and I hope you’ll join me this time. Just click the link below to register—any course option will qualify you for the bonuses. There’s about a half day left to register. At midnight, the course will no longer be available until next year. You’ll get a couple emails from me before each call today (2:30pm & 10pm PT) with the bonus information, including links to join the FB group and watch the calls. This is the final email you’ll see from me about this course and offer, so I hope to see you in the FB group soon! Cheers! 96 sales on the last day! That’s 53 percent of the overall sales all happening on the final day. Hot Tip: If you’re in the middle of a launch and the numbers don’t look so great, all is not lost. Keep following through and pushing into the final day! Don’t give up! Other notable numbers included in the 181 total sales: 135 were for the basic plan, and 46 for the VIP. This totals a NET commission of $16,695.60, minus refunds. Just enough to place third in Michael’s affiliate contest, which has various prizes at different price ranges. Post-launch. A quick celebration, and then following through. And the most important and best part of the process . . . results! 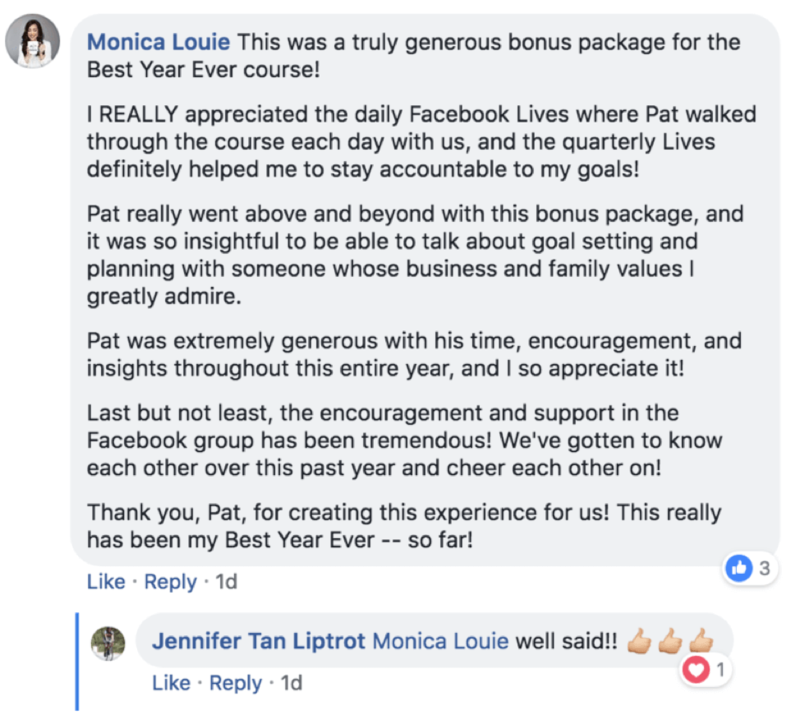 I finished the course with many of the Facebook group (going live each day in the group), and now we’re seeing people sharing their wins and progress already. It’s still active as of today, which is awesome! Post-launch, I was extremely happy with the results. 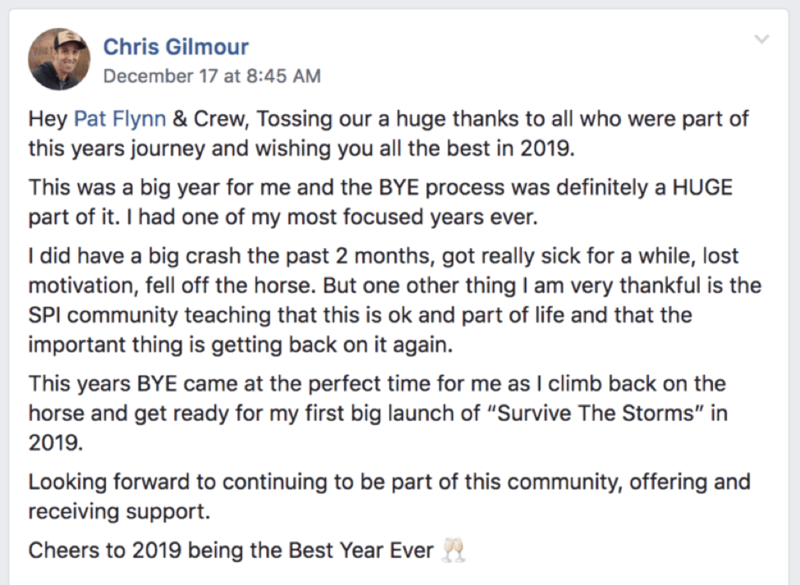 With just a few emails and social posts, and five-days of going LIVE after the launch, I know I could have done more, but I’m excited that it was done in a tasteful manner, and I was still able to generate about $16,000 from it, all while helping people live a better year this year! Personally, after writing this report, I feel really great about it! As I was writing, it was bringing me back to those early days of writing income reports, back when they mattered and were helpful. At least that’s how I perceive it, but it’s not about me—it’s about you. What do you think? Helpful? Want more? It’s nice to get behind the numbers again and into the weeds of the business, and I hope the specificity of this income report adds more color and detail to the kinds of things that happen here, and my wish is that you take anything you want here, whether it’s the inspiration, or the actual email copy itself, and use it as you wish. Please leave a comment below and let me know if you like this style of focus and writing, and I’ll be sure to listen intently. Cheers, and thank you Team Flynn for all of your support!